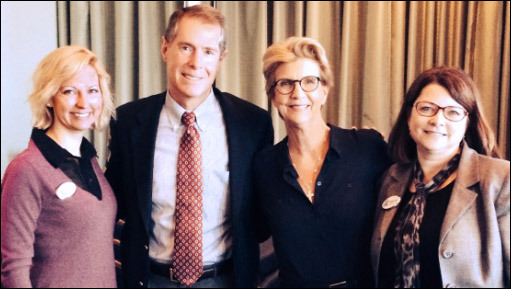 Rice & Rose Attorney Beth King is joined here by Attorney Brett Preston of the Tampa law firm Hill, Ward, and Henderson, at the February meeting of the Volusia Flagler Association for Women Lawyers. Also pictured are VFAWL president Wendy Mara and Secretary Courtney Kilbourne. Mr. Preston presented an interesting program on several crucial aspects of the Attorney-Client Relationship. VFAWL meets monthly at the Halifax River Yacht Club.